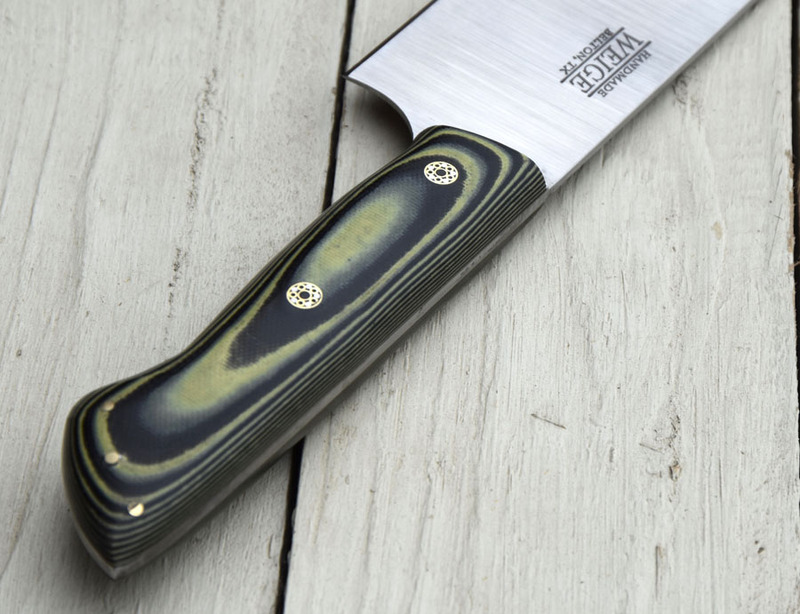 One of a kind santoku in S35VN American made stainless steel. Categorized as an American super steel. The blade is 7.5″ long and the total length 12.5″ inches. This is a practical vegetable chopper for the home or professional kitchen. 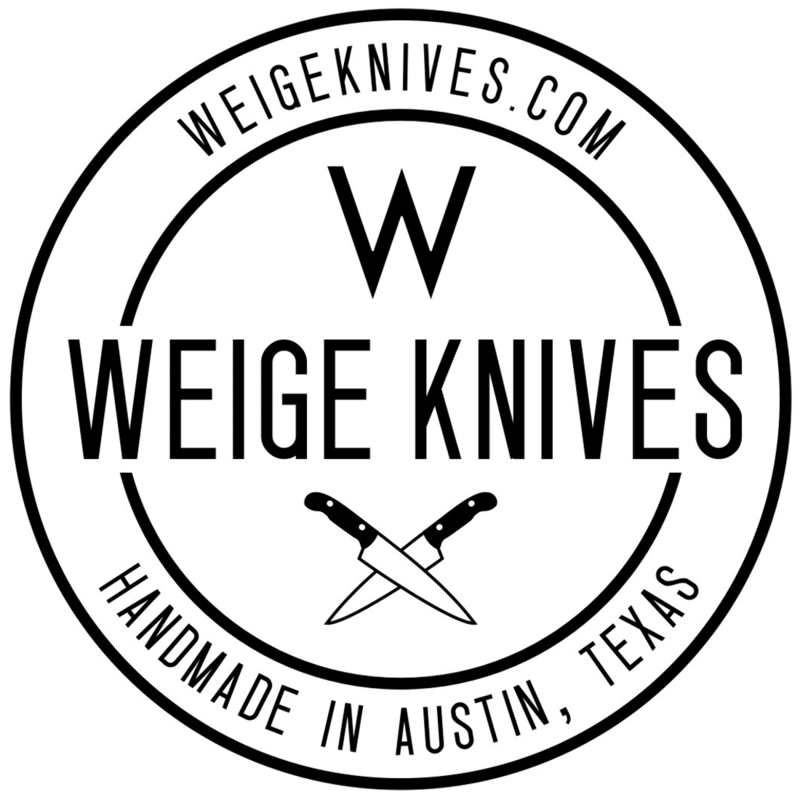 The handle is done in yellow and black striped G10 that is know for it’s durability. The pins are handmade mosaics created by Sally Martin in Williams, OR. 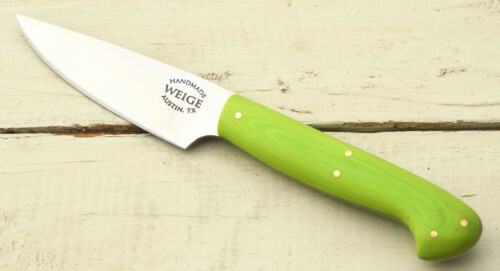 This knife was built to have the front of the blade extra thin for fine dicing and the back of the blade for thicker chopping. 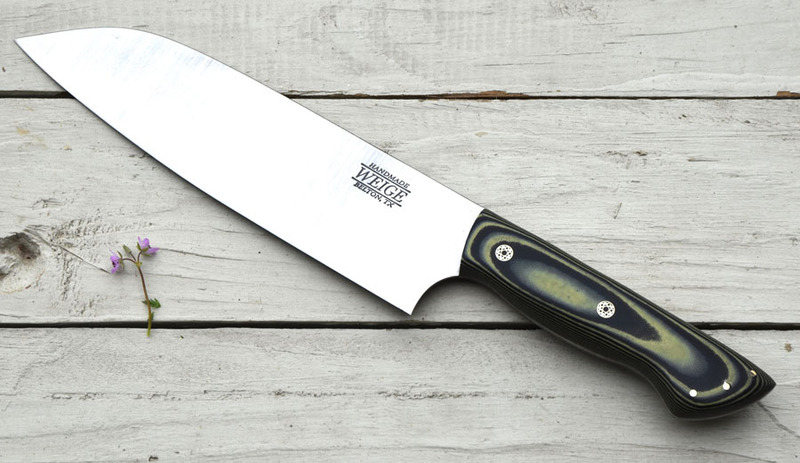 This is a versatile and one of a kind santoku that is ready to ship. Free shipping.